A native of Liberty City's notorious Sugar Hill apartment complex who was known for promoting non-violence through his "Peace in the Hood" block parties, the late DJ/hype-man/radio personality Albert "Uncle Al" Moss was one of Miami hip-hop's beloved figures. 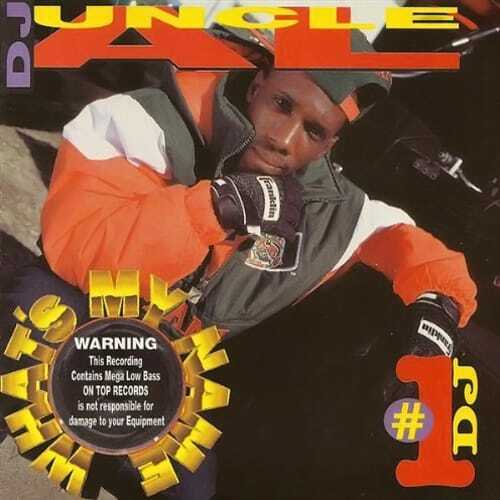 Produced by Carlton Mills (who recorded a number of seminal Miami bass hits with his brother Calvin under the names Rock Force, Miami Boyz, and M-4 Sers), Al's 1994 album What's My Name included the Bass classics "Hoes-N-Da-House" and "Keep Dancin." But Moss' masterpiece, also from What's My Name, was undoubtedly "Mix it Up," an R&B-inflected call-and-response record also known as "The Uncle Al Song." His 2001 murder—allegedly over use of a pirate radio frequency—effectively closed the casket on Miami's Bass music era.